The Farmers and Mechanics Savings Bank was built as a solution to the bank’s growing demand for space following a nationwide rise in the use of mutual banks after the Great Depression. It obtained the lot upon which it sits for a relative bargain in 1939, after concealing its identity throughout the purchase negotiations. After rejecting an initial plan proposed by New York based architects York and Sawyer, a firm well established in bank design, the bank chose the Minneapolis based architects McEnary and Krafft. The new building opened in March of 1942, a mere 14 months after construction began. It was built in an Art Moderne architectural style with an exterior consisting of pink Kasota limestone and red Ortonville granite trim. Bas-relief ornamentation is featured prominently on both the exterior and interior of the building, with a main entrance inspired by the newly constructed Rockefeller Center, and large carvings of a shirtless farmer and mechanic bordering the Sixth Street door. 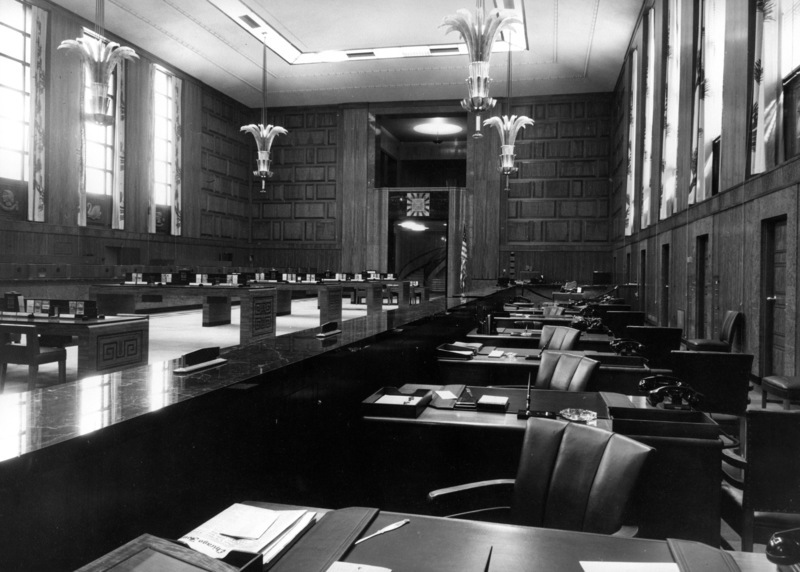 The interior of the building contained the main banking hall featuring teak paneling, long marble counters, and flowing bronze railings. 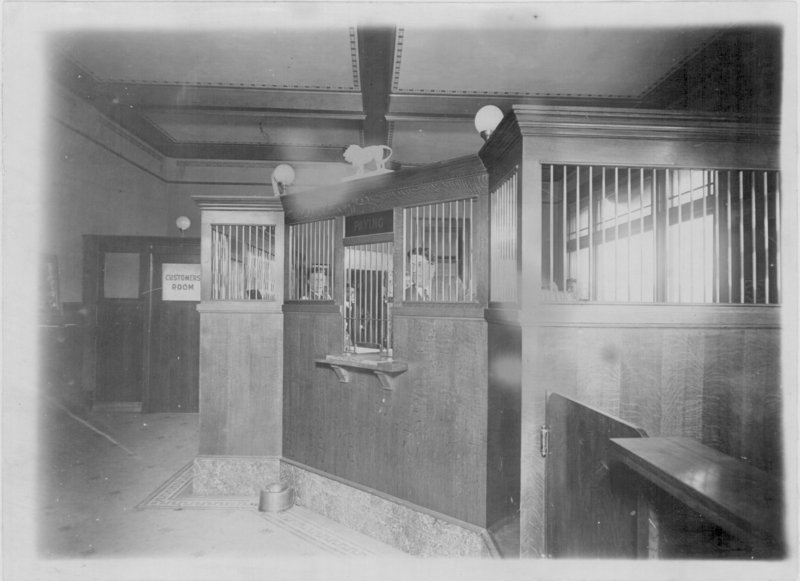 Ian Isaacson, “Farmers and Mechanics Savings Bank,” Minneapolis Historical, accessed April 18, 2019, http://minneapolishistorical.org/items/show/106. 1. Vomhof, John. "Westin Opens in Old Farmers & Mechanics Bank." Minneapolis/St. Paul Business Journal, May 3, 2007. 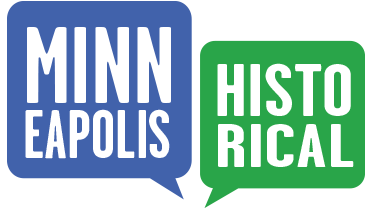 Accessed May 15, 2015. http://www.bizjournals.com/twincities/stories/2007/04/30/daily39.html?jst=s_cn_hl. 2. 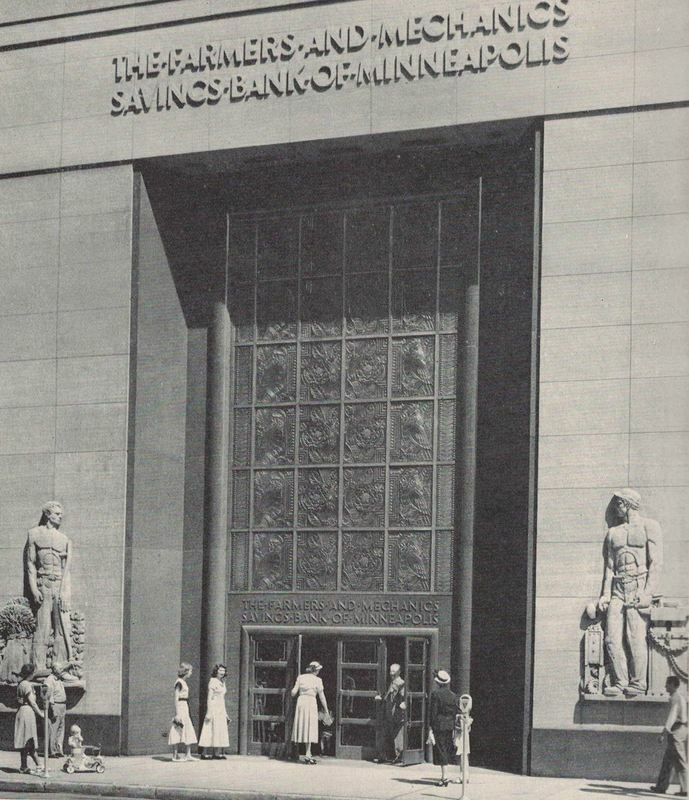 Marion E. Cross: Pioneer Harvest (Minneapolis: The Farmers and Mechanics Savings Bank of Minneapolis, 1949); exterior photo is on an unpaginated page after page 160.